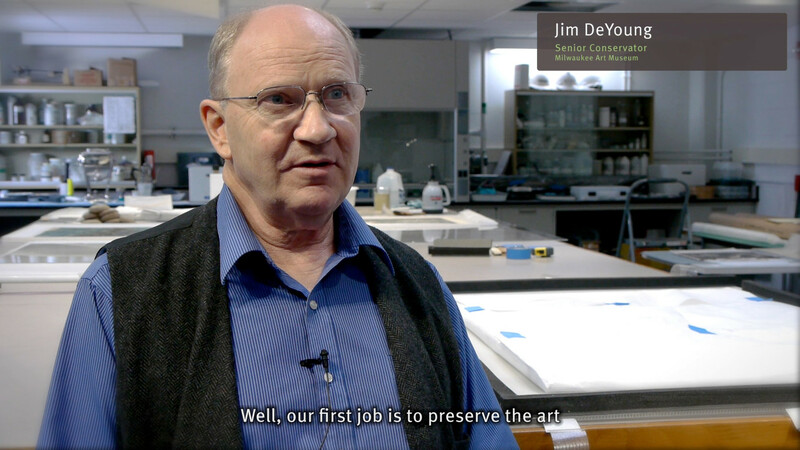 Conservation table installed in the exhibit space. Conservation viewer installed in the exhibit. Conservation viewer installed in the exhibit. 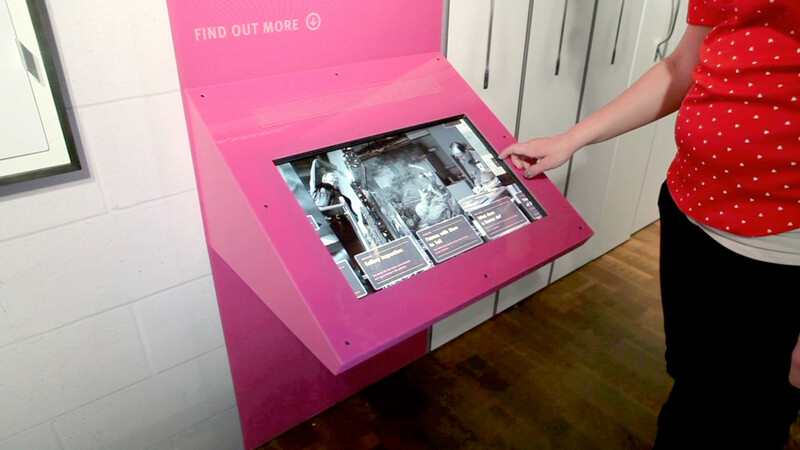 The bale is multitouch, allowing multiple people to use it at the same time. 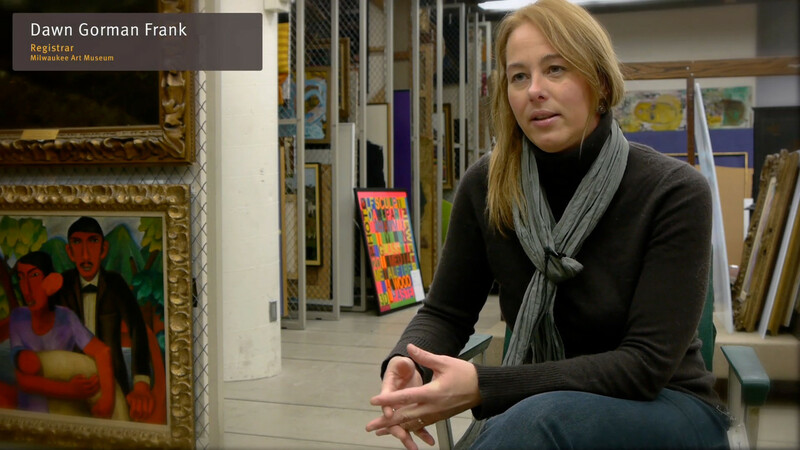 Story viewer video with lower thirds and captions. Story viewer video with lower thirds. 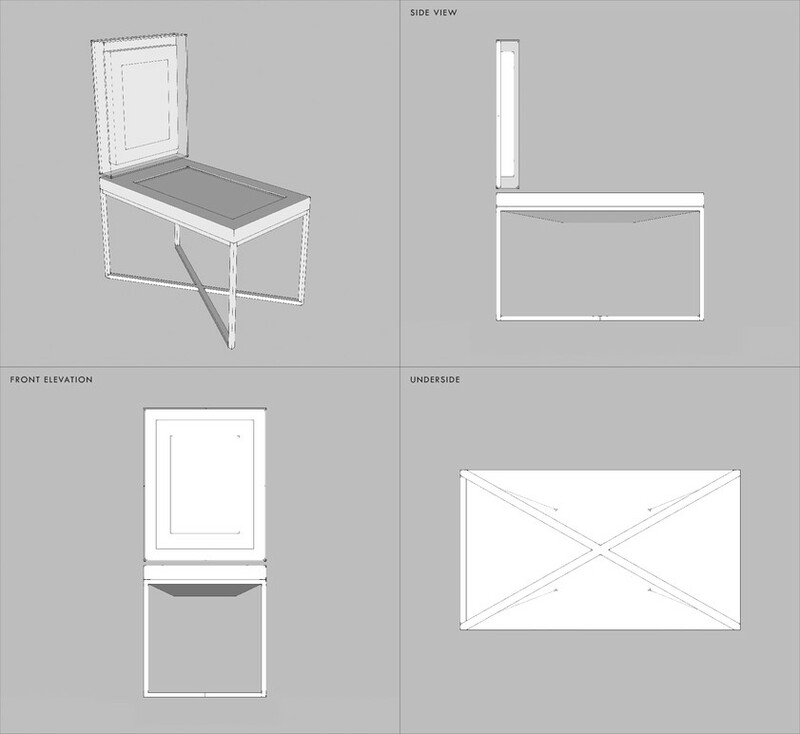 Belle & Wissell designed a series of interactives for Kohl’s Art Generation Lab at the Milwaukee Art Museum. 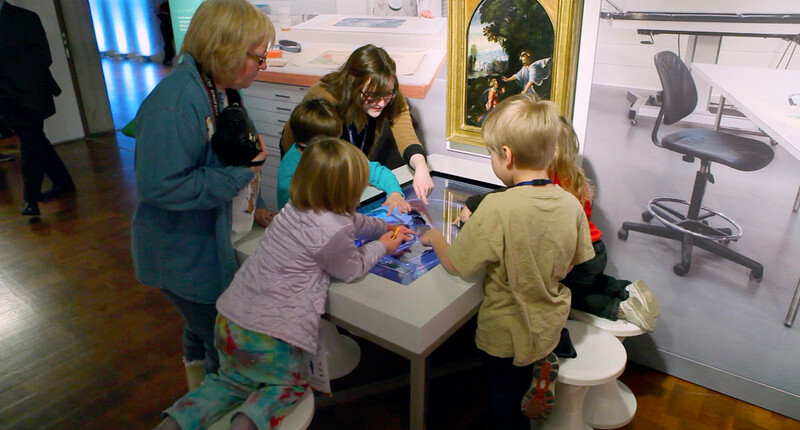 The interactives provide a behind-the-scenes look at how several key internal departments contribute to the museum experience. 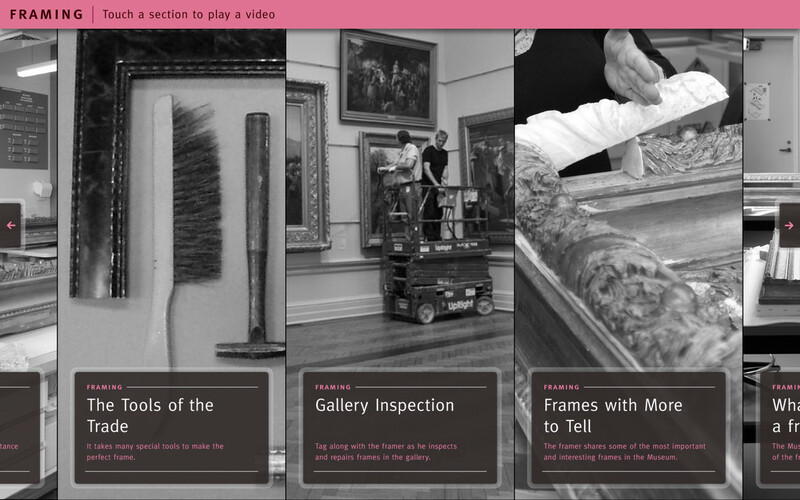 The featured interactive is a multi-user touchtable that teaches about the various techniques used to conserve and restore a painting. 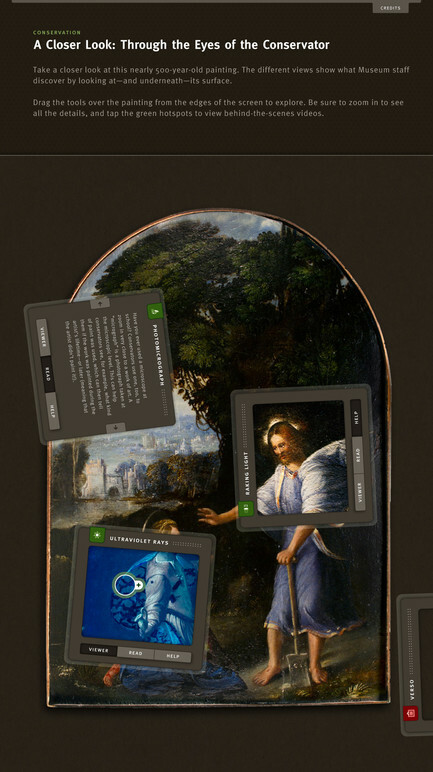 Users explore the painting through multi-touch interactions using the same “virtual” tools as the conservator. 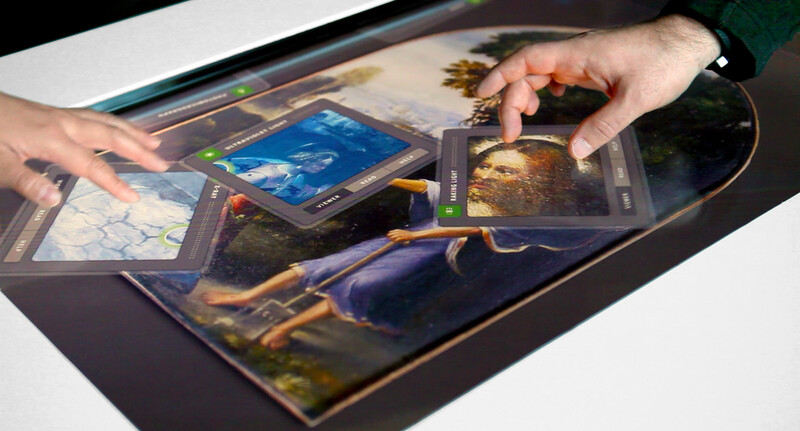 Belle & Wissell also designed the enclosure for the touchtable that features the real painting in close proximity to the digital one. 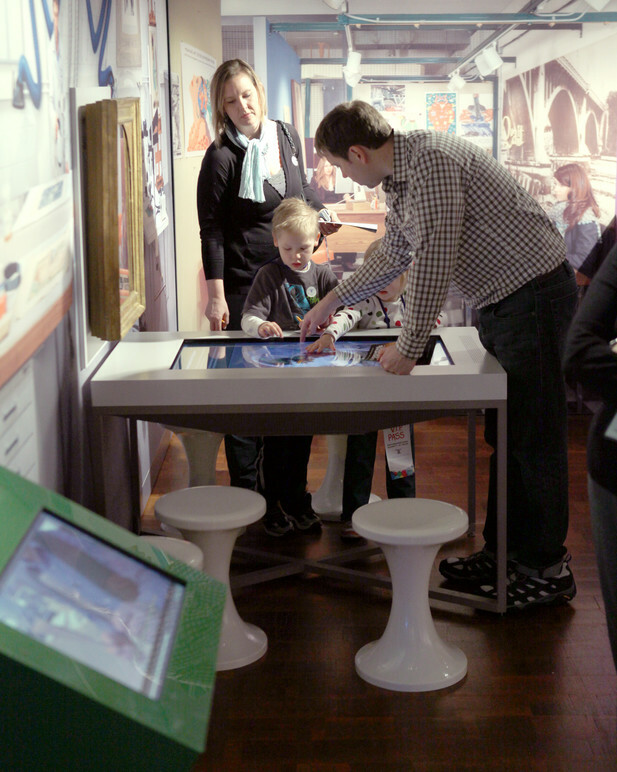 Companion interactives within the space include a set of “Story Player” touchscreen interactives, allowing visitors to browse and play hi-def videos to learn more about the museum’s various departments.